💝 Save money buying this sweet Gift set featuring the necklace and earrings for a discounted deal. 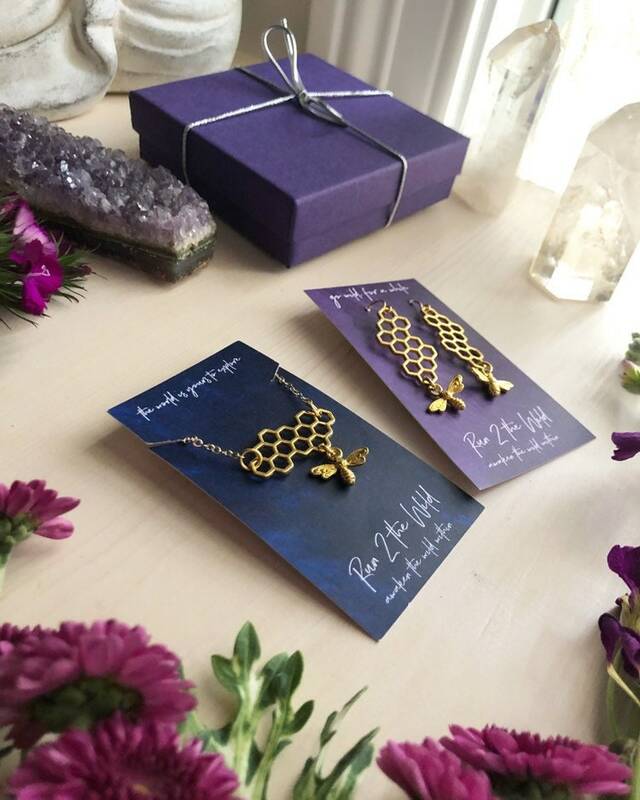 This adorable honey comb charm necklace and earring set is a sweet way to show how special someone is in your life. 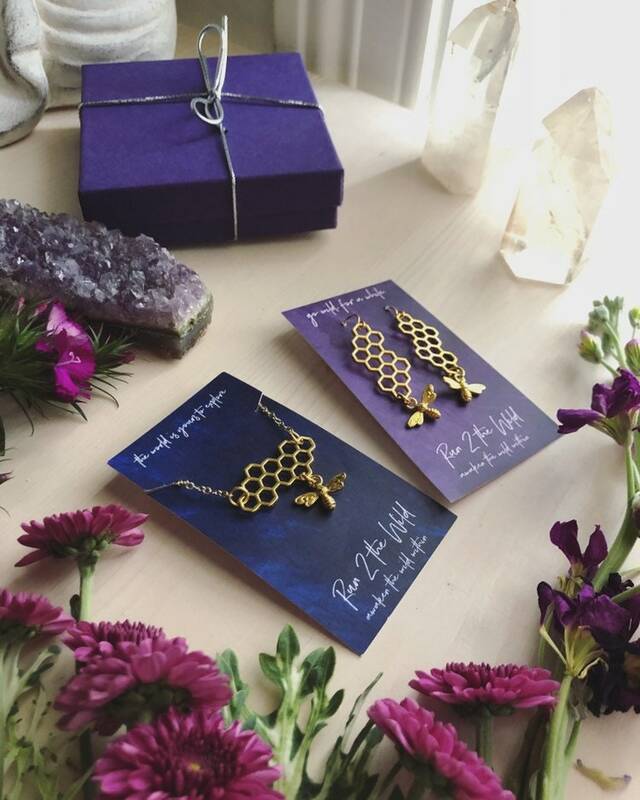 The bee symbolizes community, brightness and personal power. 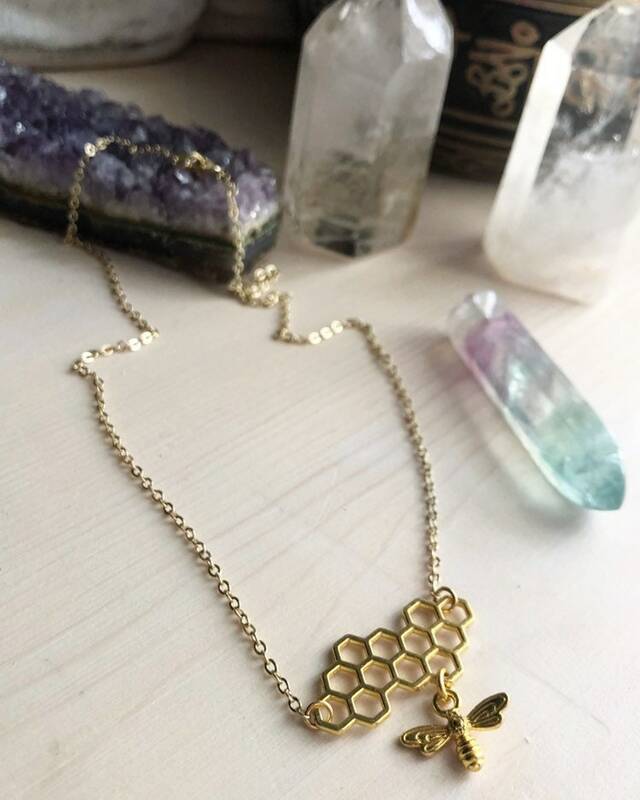 They symbolize the sun, the goddess and celebration. 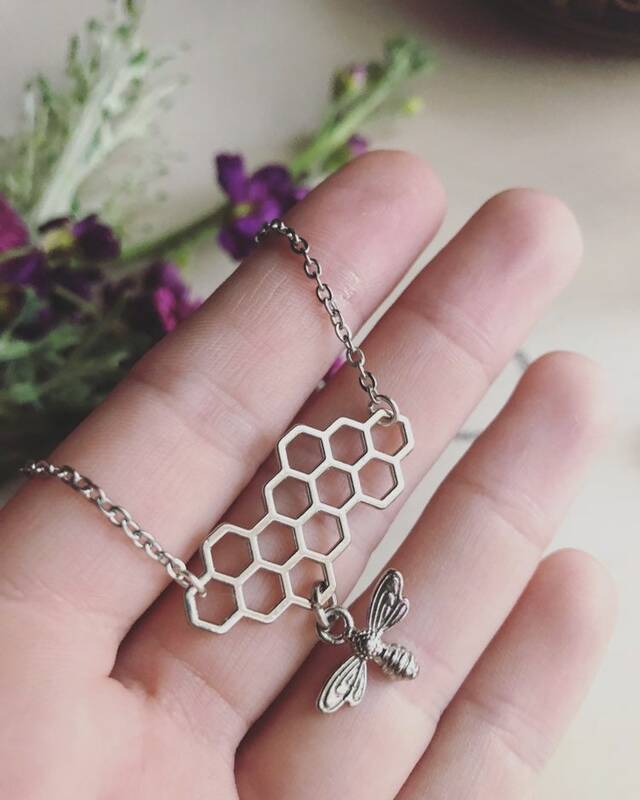 🐝 Customize the metal and length by referring to the drop down menu. Silver and gold stainless steel are available.